"Hill Climb Car Stunt the most addictive Car Racing Game! Control your car to climb hills with most realistic control to face the challenges of unique uphill & downhill environments. Its not so easy,you have to avoid other cars to reach high score every time you play.Collect Stars to reach even higher distances. 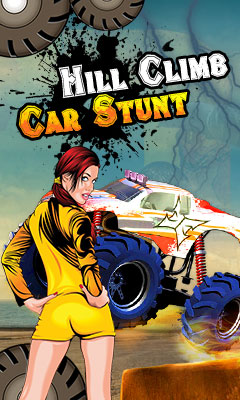 Take the ultimate challenge, play this Hill Climb Car Stunt game and see if you can handle all the roughness and the unpredictable obstacles coming in your way. Features: - Endless world to play - Amazing controls - Hours of FUN FOR FREE! - Beautiful Graphics GAME-PLAY:- - Use arrow keys/touch to jump,Move Right,Move Left to avoid collision with other cars Face the challenges of unique hill climbing environments. One of the most addictive and entertaining driving game ever made! And it's free!"